'The Church of Saint Agnes was designed by George Ries, and built between 1897–1912. It is listed on the National Register of Historic Places. 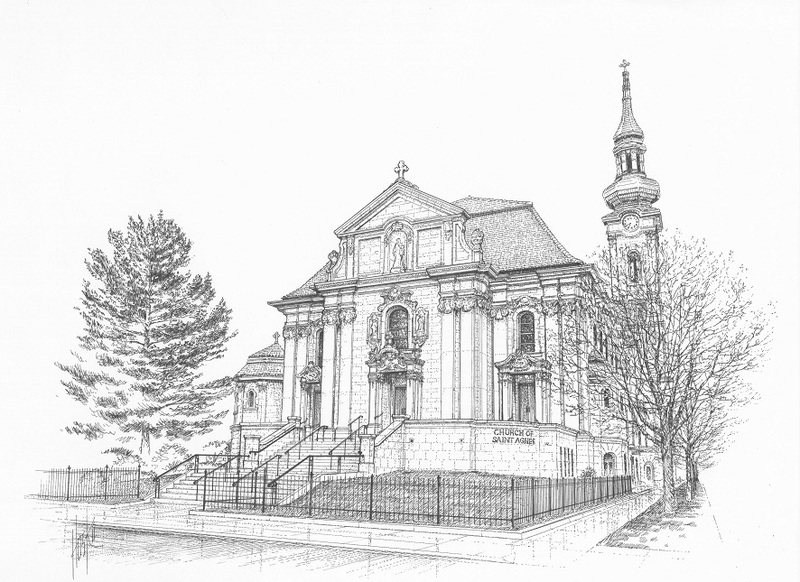 The parish was founded in 1887 by Archbishop John Ireland, who wanted to serve German-speaking immigrants who were settling in the Frogtown neighborhood of St. Paul to find work with the Great Northern Railway. The onion-domed bell tower is 205 feet tall. Interior brass chandeliers were salvaged from the former Minnesota State Capitol building which was located on Wabasha and Exchange Streets in downtown Saint Paul. Stained glass windows were installed in 1930, along with a marble altar’.